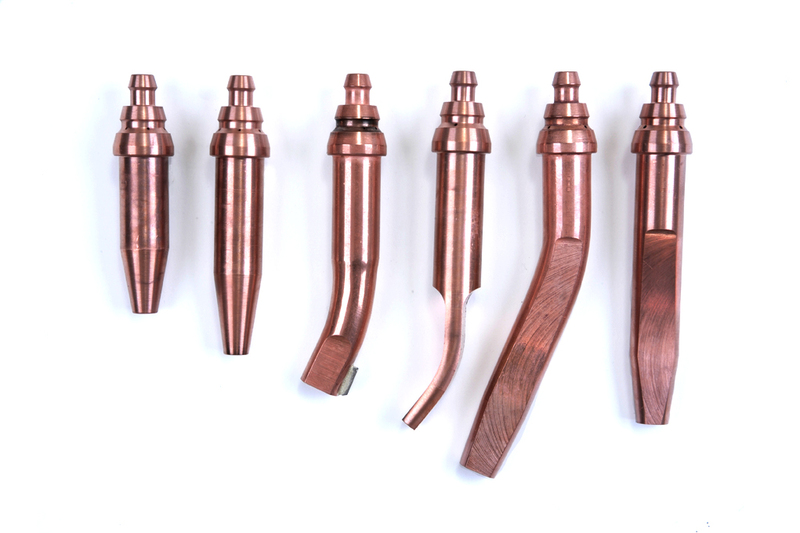 Our British manufactured Cutting Nozzles will cut safer and more efficiently with its unique suction feature in the ANM and PNM range. 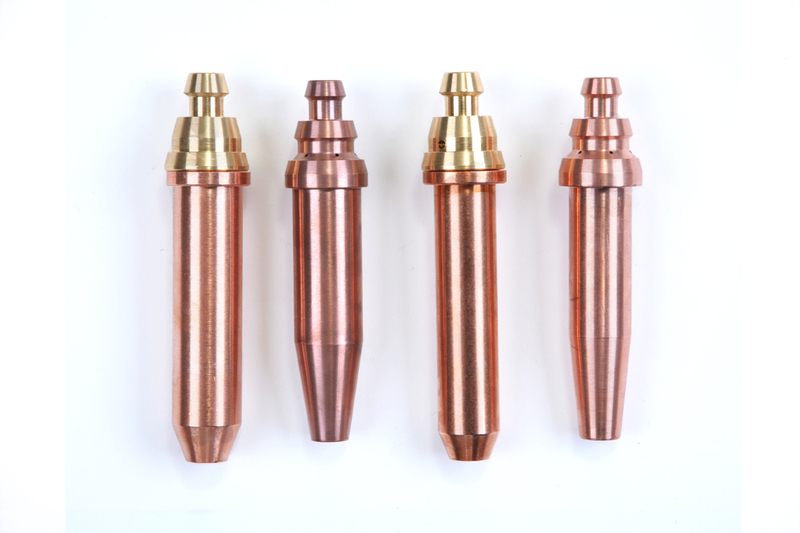 The principle of mixing oxygen and fuel gas within the nozzle of the cutting blowpipe is generally accepted as the best and safest arrangement for cutting. 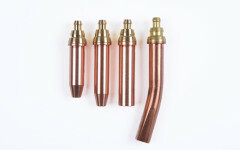 The safety is enhanced if the design of the nozzle also gives a suction to the fuel gas line of the blowpipe. 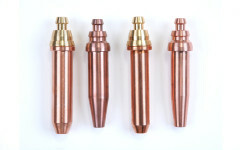 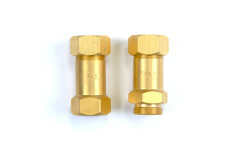 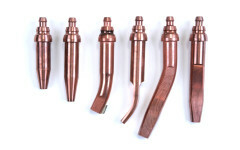 The nozzle design illustrated (acetylene version) limits the amount of explosive oxy/acetylene mixture to the low volume of the drilled and swaged pre-heat passages in the solid copper from which the nozzle is made. 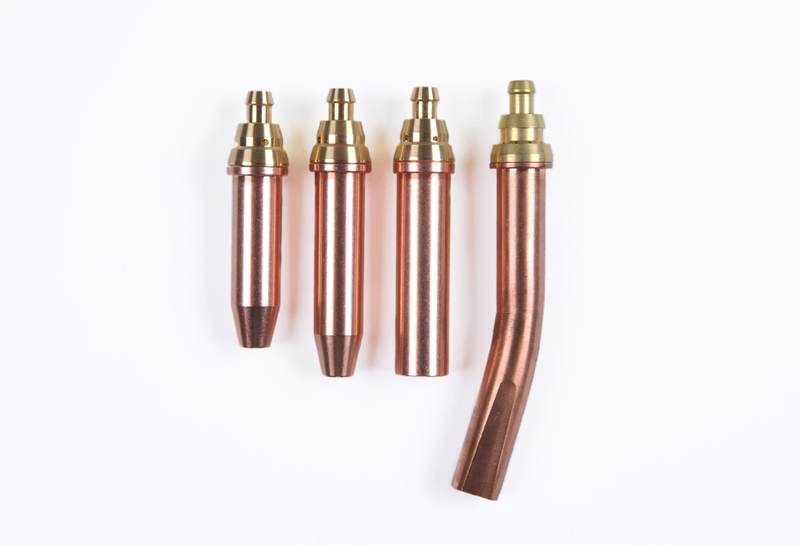 Blowpipes which mix the oxygen and fuel gas by means of an injector situated near the handle of the blowpipe have a relatively large volume of explosive oxy/fuel gas mixture in the pre-heat tube and any backfire can be much more severe. 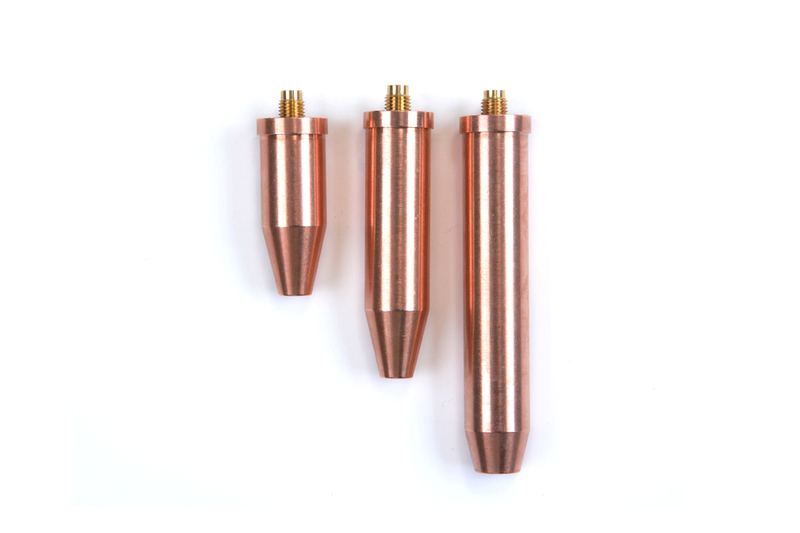 All of the Nozzles we produce are precision manufactured to give efficient performance and before leaving the factory, each one is individually tested to ensure suction, quality of the pre-heat flame and accuracy of the oxygen cutting stream. 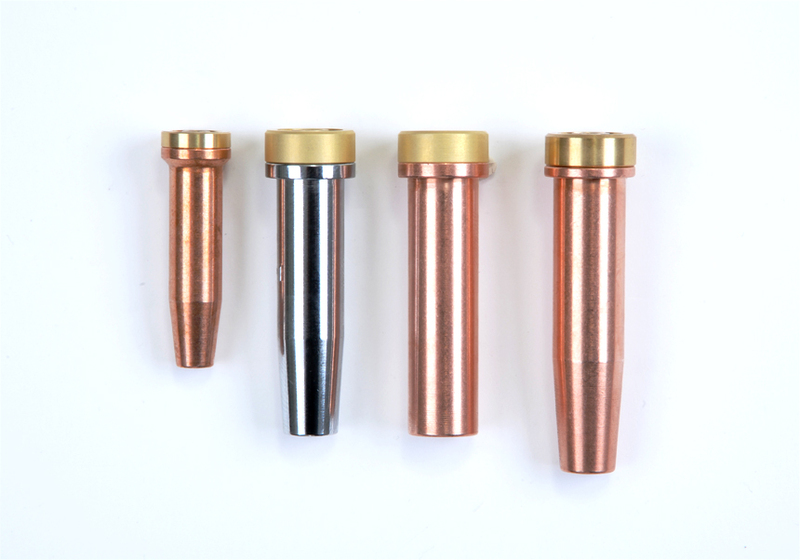 The list above is just some of the Cutting Tips we produce for our customers, if you require your product to be specially marked, i.e. 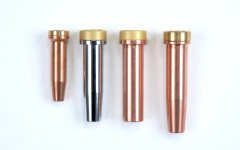 Company name, please do not hesitate to ask. 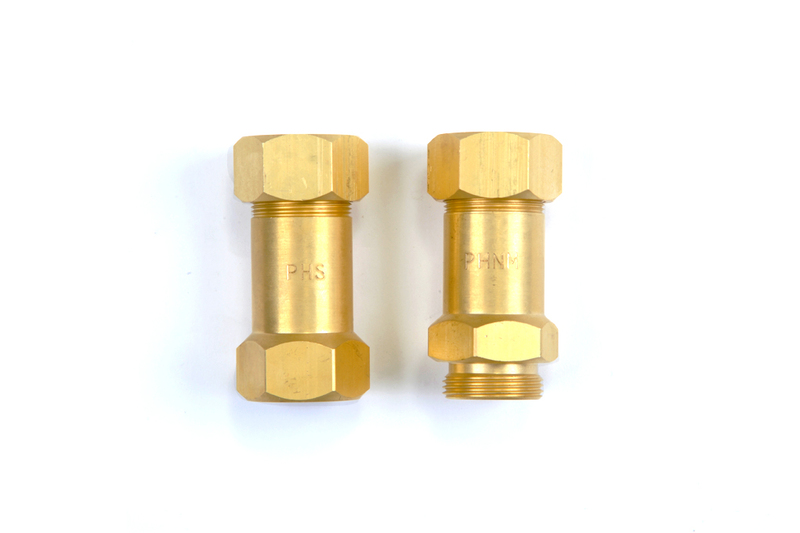 If you require anything that does not appear above but have samples or technical drawings, please forward them to us for a fast and efficient quotation.